The source for Texas Child Nutrition Professionals. 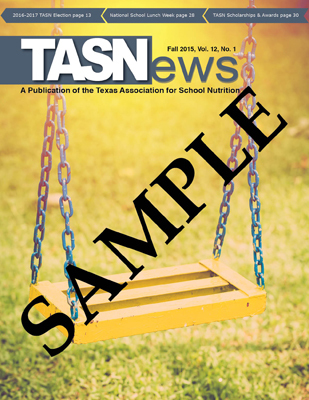 Packed with information ranging from educational articles to legislative updates and chapter news, TASNews is a benefit that every TASN member finds valuable. TASNews is distributed quarterly to more than 6,000 TASN members and is now available online to TASN Members. Members, view past TASNews issues by clicking on the issue titles on the left side of this page.